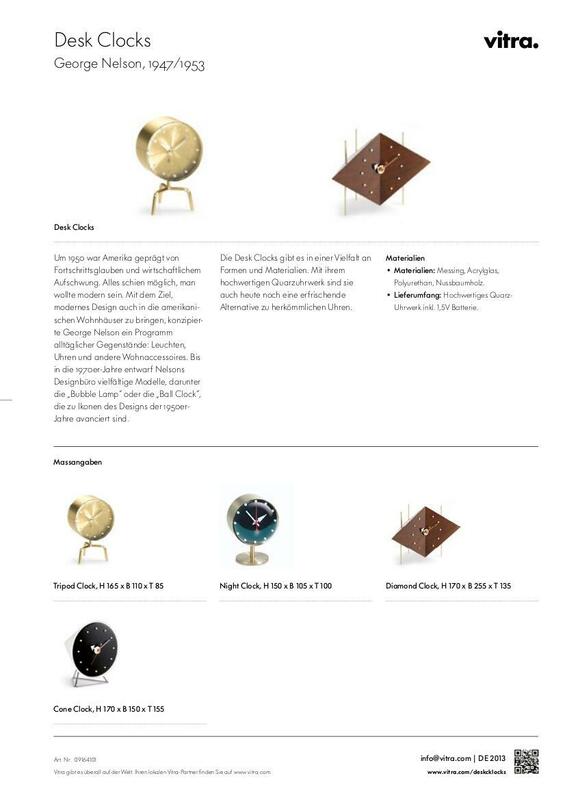 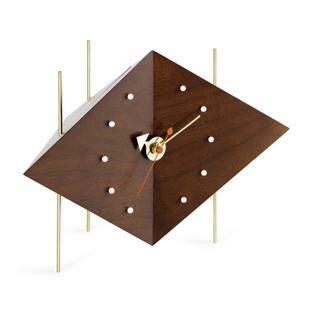 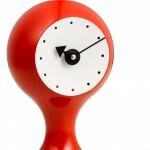 The Vitra Diamond Clock was designed by George Nelson in the 1950s, a period in which America found itself in the midsts of profound upheavals that affected both social life and fashion trends. 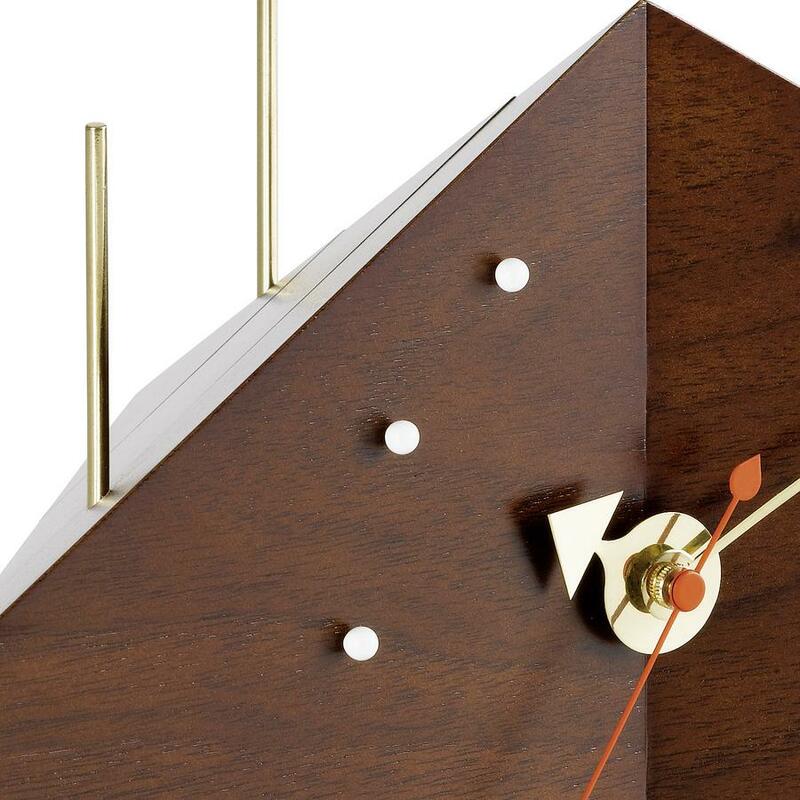 The spirit of the period was away from purely functional furniture and towards more aesthetic design elements; a challenge which George Nelson took up in a series of everyday objects which were intended for common use but were no longer commonplace. 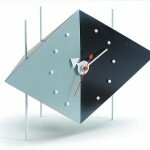 An excellent example of which is the Diamond Clock. 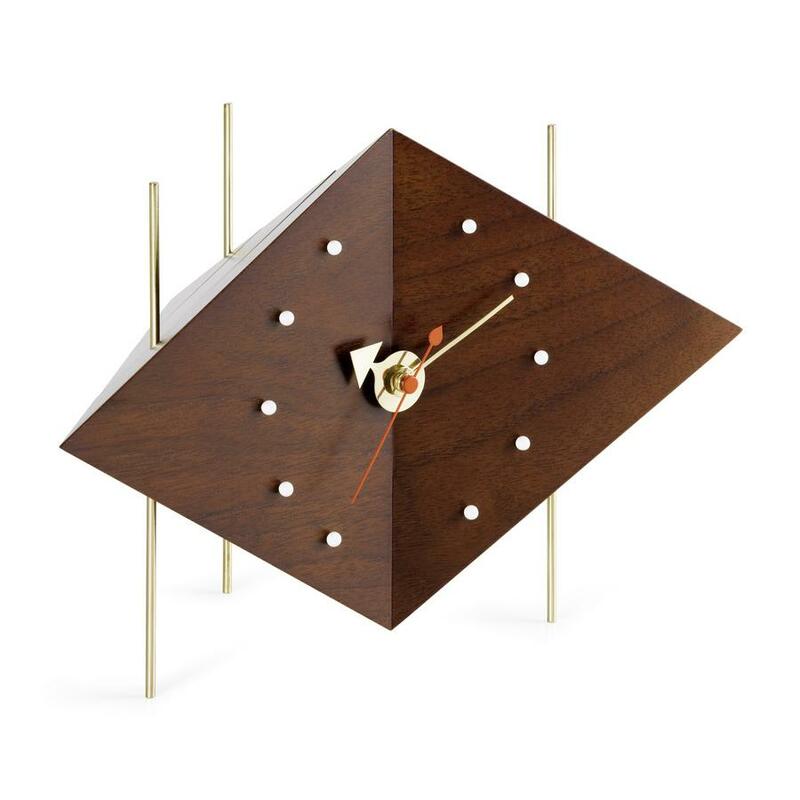 Featuring no round dial, but with an angler wooden cabinet in solid walnut, the Vitra clock resembles a diamond on stilts and thus brings a sense of sophistication and an added touch of elegance to every living space.